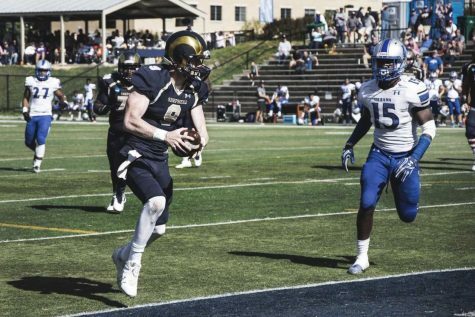 (The Picket)- Shepherd University’s football team has been honored with three different Mountain East Conference award recipients this year. Coach Monte Cater has been named coach of the year for 2017. 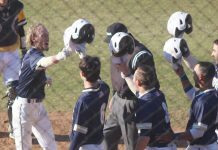 Shepherd’s Connor Jessop and Myles Humphrey earned the top two individual honors as offensive and defensive player of the year respectively. Senior quarterback Connor Jessop (9) has shown tremendous ability both throwing and running with the football this season (Jason Fischetti/The Picket). Per the MEC Jessop, a senior from Ashburn, Va., was named Offensive Player of the Year after throwing for 3,284 yards and an MEC record 38 touchdowns. Jessop threw for at least three touchdowns in every game this season, and also added 334 yards rushing and six more touchdowns. He leads the country in points accounted for (270), and is second in the NCAA in passing touchdowns and passing yards per game (328.4). He was the MEC Offensive Player of the Week on four occasions this season directing an offense that averaged 48.5 points per game, the second-best average in the NCAA. Senior defensive end Myles Humphrey has caused a great deal of havoc for opposing offensive linemen and quarterbacks this season (Tatum King/The Picket). Humphrey, a senior, defensive end from Upper Marlboro, Md., was named the MEC Defensive Player of the Year after leading the Rams on defense. 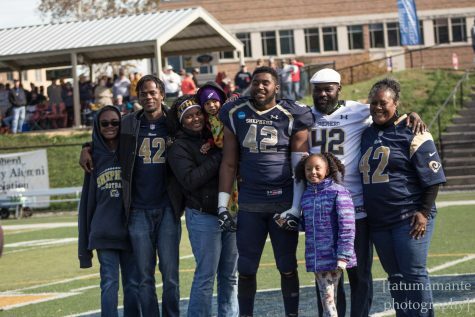 Per MEC Humphrey led the league with 11 solo sacks and finished with 11.5 on the season and became the school’s career leader in that category this season. He also led the league forcing four fumbles and was fourth in the league in tackles for a loss with 18.0. 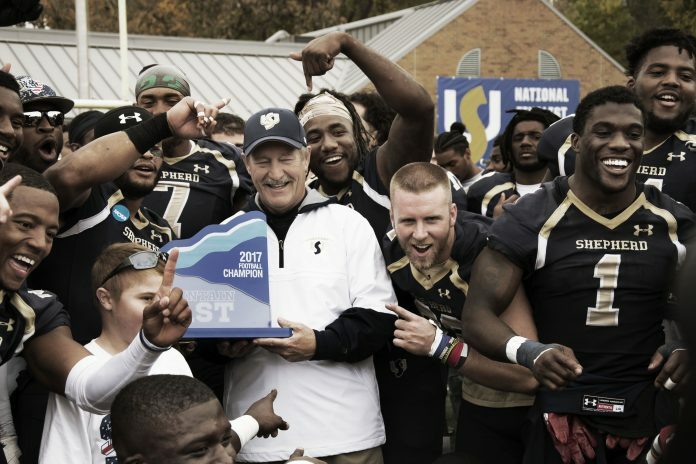 Cater, named as Coach of the Year by MEC, led Shepherd to a third-straight undefeated regular season (seventh overall) and fourth Mountain East Conference championship. The Rams ascended to No. 2 in the AFCA poll, their highest ranking in school history. 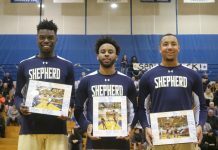 Shepherd is in the NCAA Playoffs for the fourth time in the last five years and are the second seed in Super Region 1. 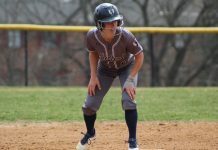 In addition to the individual awards, Shepherd, the regular season champions, led all schools with 10 first team All-MEC selections (six offense, four defense) as a team.